Safety lock lid prevents opening until the rotor has come to a complete stop. 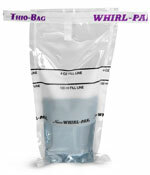 Unique airflow design which reduces increases in the sample temperature. 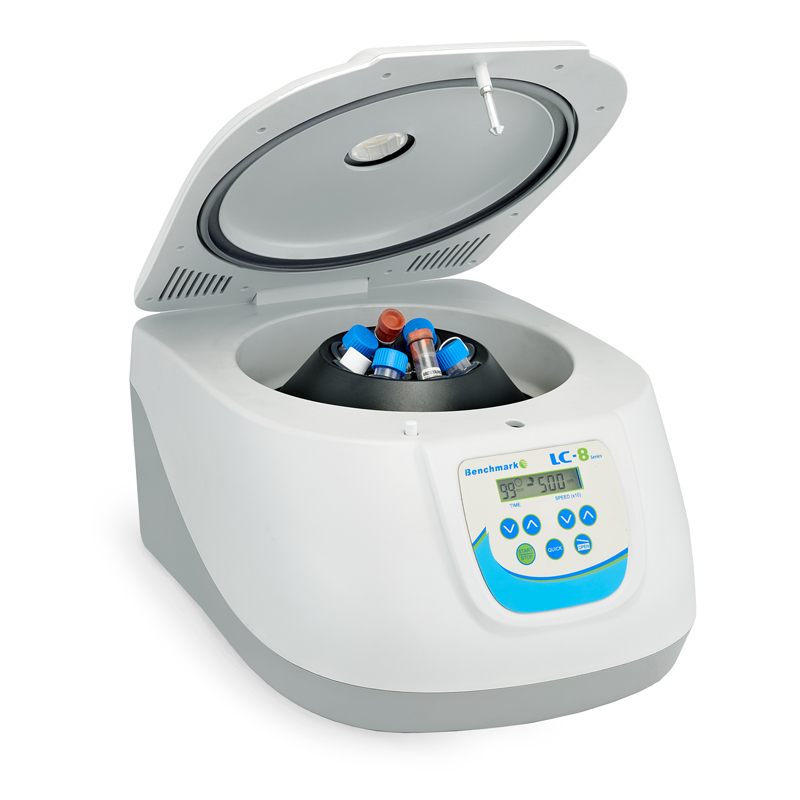 The LC-8 laboratory centrifuges include a digital microprocessor which confirms the lid has been closed correctly, and will not allow the lid to open until the rotor has come to a complete stop. The advance imbalance detector continually monitors the balance and vibration of the centrifuges and brings the rotor to a halt if an imbalance occurs. The easy to use menu allows you to fully control the run times and rotational speeds, viewed in rpm or rcf. 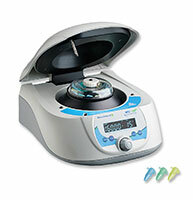 Acceleration/deceleration levels are adjustable, with a timer setting option to keep track of your centrifuge cycles. Choose between C3100 and C3200 depending on the top speed needed for your cycles, and purchase the additional adapter for more variety in test tube compatibility to the LC-8 laboratory centrifuges.